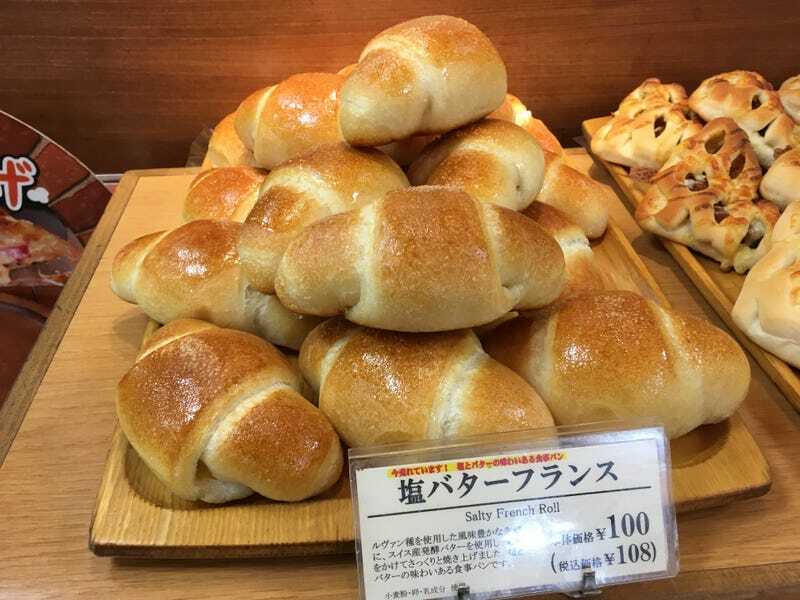 Japan’s latest baked good fad is “salty bread.” It’s like a dinner roll but with a layer of butter and salt on top that makes it taste like movie popcorn. It’s in every bakery I’ve gone into, and it’s addictive. I may need to be physically removed from the country.